Cheap Flights To Amsterdam, Schiphol. 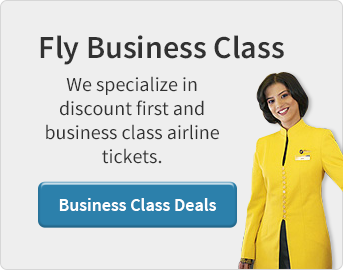 Compare Airlines That Fly To Amsterdam For Cheapest Plane Tickets. Book Cheap Amsterdam Flights With Jetsetz Today! Save big on flights to Amsterdam with our cheap plane tickets. Take advantage of our last minute flight deals to Amsterdam and save a bundle. Utilize our wholesale rates and save 100’s on your Amsterdam airline tickets. Search our extensive database to find the largest selection of flights to Amsterdam. Book cheap plane tickets to Amsterdam with Jetsetz. Jetsetz is an airline ticket wholesaler that specializes in cheap flights to Amsterdam, Netherlands (AMS). As an air ticket wholesaler, Jetsetz negotiates directly with airlines to find cheap airline tickets to Amsterdam. Some of the top airlines that fly to Amsterdam, Schiphol are: KLM, Delta Air Lines, American Airlines, United Airlines, Air Canada, Virgin Atlantic, British Airways, Swiss and Lufthansa to name just a few. Each of these airlines offer cheap non-stop flights to Amsterdam as well as connecting flights to Amsterdam through various airports located in the United States, Canada the UK and Europe. The best way to find cheap flights to Amsterdam is to book your flights to the Amsterdam Schiphol International Airport (AMS). The Amsterdam Schiphol International Airport is the international gateway to Amsterdam and Holland, with millions of travelers passing through its gates each year. All of this traffic creates competition between the airlines. Depending on the season, these airlines offer discounted airline tickets to Jetsetz for resale to the general public. Jetsetz then passes these savings on to our customers by offering discount airline tickets to Amsterdam for sale through our website jetsetz.com, or by calling toll free (855) JET-SETZ. The best time to fly to Amsterdam is between the months of May – June, as the weather is pleasant, and the tourist season has not begun yet. October - December is the low season and is the best time to find cheap flights to Amsterdam. November is the cheapest month to fly to Amsterdam. If you are planning to fly during these times, be sure to book your flight at least 60 days prior to your departure date to get the cheapest fare. Summer is the peak travel season, with the most expensive prices on flights to Amsterdam. The Amsterdam Shiphol International Airport offers both international flights to and from Amsterdam as well as domestic flights within Holland. If you plan to fly within Holland, or other countries within Europe, you will need to catch a flight out of the Amsterdam International Airport. Most flights throughout Holland and Europe are handled by KLM. In order to catch a domestic flight within Holland, you will need to move from the international terminal to the domestic terminal in the Amsterdam Airport. Depending on where you are located in the terminal, you also may need to check your bag through customs, so be sure to give yourself at least 2 hours to connect to your domestic flight within the Amsterdam Schiphol International Airport. Once you are ready to leave the Schiphol aiport, you will need to work out your transporation to the city of Amsterdam, or whichever destination you are going to in Holland. The Amsterdam Schiphol Airport is located about 10 km southeast from Amsterdam's historic center. The best way to get from the airport to Amsterdam is to take the NS Train line. You can board the NS Train at the base of the airport and the trip from Schiphol to Amsterdam city center takes about 14 minutes with the trains departing every 15 minutes. Once you are in Amsterdam, the taxi's or bikes are the best way to get around the city. The taxi's are plentiful and very reasonable. If you are planning on traveling outside of Amsterdam, or if you want to visit other cities within Holland, you will probably want to hire a rental car. You can either rent a car at the Amsterdam Airport or take a taxi into the city center, and rent a car at one of the many rental car offices in Amsterdam. Amsterdam may be relatively small for a European capital city, but it is bursting with history, world-class attractions and plenty of ways for visitors of any age to get to know its charms and people. Life in Amsterdam is really more about good food, relaxing cafes, and fun atmosphere. Many tourists opt to rent a bike while visiting Amsterdam which allow you to get around the city at ease and enjoy the local attractions at your leisure. A trip to Amsterdam should involve enjoying it's many unique districts containing historic museums, beautiful canals, world-class restaurants, dutch culture and thriving nightlife. Some attractions include the famous Anne Frank Museum, Amsterdam Historical Museum, flowing canals, and Rembrandt Square. Whether you fly to Amsterdam for business or pleasure, you are sure to have a great time.